Baffinland Iron Mines Corporation submitted Thursday its final Environmental Impact Statement for the second phase of its Mary River Project, on north Baffin Island, to the Nunavut Impact Review Board (NIRB). Among other topics, the document proposes replacing the road connecting the mine to a port with a railway, to reduce dust and sediment in the water. Planned operational expansion of Mary River mine said to be critical to its long-term viability. Baffinland's current permit allows it to build a railway from Mary River, but to a port south of the mine in Steensby Inlet. The company is entitled to reach Milne Inlet only via road, which is what the company is using to move ore. The planned operational expansion, Baffinland President and CEO said, is critical to the long-term viability of the mine and to deliver benefits to local community and partners. A previous proposal, submitted to the NIRB in 2016, was sent back to the Nunavut Planning Commission, as it included changes deemed as “major”, including shortening the shipping period to six months a year of shipping with a 110-km railway, instead of the previously proposed 10 months a year. 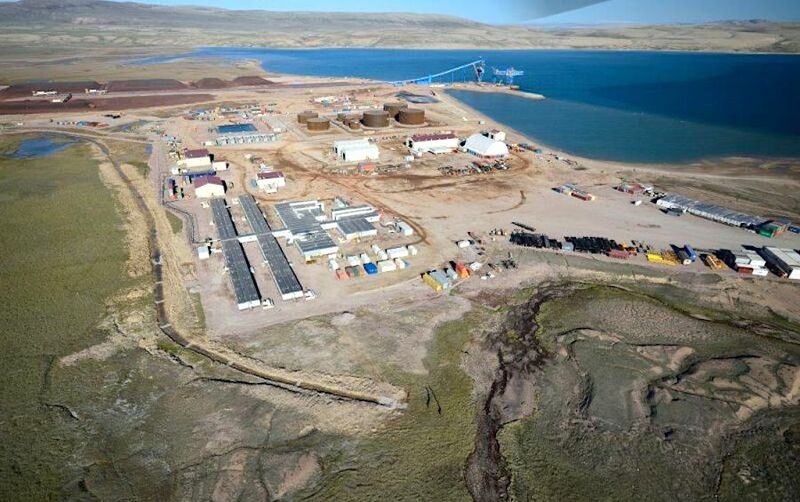 Last year, Baffinland shipped a record amount of 4.1 million tonnes of iron ore mined Mary River, located about 160 km southwest of Pond Inlet, Nunavut. That was is up from 2.7 million tonnes exported in 2016 and just below its permitted maximum capacity of 4.2 million tonnes. The first load of iron ore was shipped out of Baffinland Iron Mines' Mary River site in 2015.